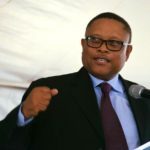 The Minister of Fisheries and Marine Resources, Bernhard Esau, during his annual address to the fishing industry warned that illegal fishing activities will be dealt with swiftly and severely. The minister also promised right prospective holders that intends to sell their quotas will face drastic actions as their actions defeats the purpose of eradicating poverty amongst Namibians. Mr. Esau said all illegal activities obstruct the development and final implementation of the Blue Economy which aims at benefiting all Namibians through various initiatives related to fisheries. I wish to thank you all for turning up, in large numbers, for this year’s annual address to the fishing industry. As you are aware, the annual fishing industry address is a time when we take stock of current issues in the industry, and provide highlights on policy direction in this important part of our national economy. His Excellency Dr Hage G. Geingob, President of the Republic of Namibia, stated in his Statement at the opening of the first decision making Cabinet meeting on 5th February 2019 that, and I quote ‘2019, is the year of Accountability’, and reiterated the same message while opening the 9th session of the 6th Parliament on 13th February 2019under the theme ‘integrity, accountability and professionalism’. Indeed, for us in the fisheries sector, these three are important values because 2019 is a year of momentous activities, decisions and milestones in our fisheries sector. Right holders who are 7 or 20 years old have expired in 2018, and hence have to account for what they did with quotas allocated to them over their period in order to be considered for new rights, or for renewal. The industry will have to account annually through the scorecard, and officials have to account for how they are managing this important sector of our economy. I wish to state, right at the start of my speech, that the status of our fish stocks is healthy, and are being sustainably managed. As you may know, our horse mackerel and hake stocks constitute about 94% of our annual fish landings. Findings by our scientists indicate that our horse mackerel stocks are above the maximum sustainable yield (MSY) level, and they have been in this healthy situation for some years now. The 349,000 MT total allowable catch (TAC) set for this fishery in the current fishing season is therefore sustainable. Similarly, our hake stocks are healthy, and the 154,000 MT set for the current fishing season is sustainable. Because we are confident of our management practices in this fishery, we have agreed to subject our hake management plan, which is also under review, to international scrutiny and ecolabelling certification through the Marine Stewardship Council (MSC). I am happy to note that this process, which is being undertaken by our officials in collaboration with the hake association, is progressing well, and we expect our fishery to be certified during 2019. Data from our scientists indicate that our monk, deep sea crab and rock lobster fisheries are stable, and being sustainably managed. The 8,000 MT declared for monk, 3,400 MT for crab and 200 MT for rock lobster are therefore sustainable. Aerial surveys conducted by our researchers indicate that our seals population is healthy, an in fact expanding significantly. Ladies and Gentlemen, allow me to address the issue of our pilchards stocks, which has been a subject of discussions in the media for some time now. Landings from our pilchard fishery declined significantly over the years, a situation which led the Government in 2018 to declare a fishing moratorium for three years, in line with our policies. Let us put this situation in the proper perspective: our pilchard fishery constitutes about 2.5% of our total annual fish landings, hence it should be seen in this context. However, our entire fisheries is one ecosystem, which is interlinked in terms of the food chain, and therefore a small fishery in terms of biomass can have a large impact on other species in the ecosystem. This is why we are taking the issue of pilchards seriously. At this stage we are not clear whether the pilchards stocks have declined, or have migrated deeper and away from our shores. Cabinet has directed that extensive studies be undertaken on this fishery, including its interactions with seals, and I am happy to note that this work is now underway. I expect to receive conclusive reports on this matter next year (2020). Ladies and Gentlemen, as you are aware, the Government is keen to develop aquaculture and inland fisheries as a viable commercial activity, to diversify our fisheries, reduce fishing pressure on marine resources, and address food security especially in coastal and riparian communities. Our perennial rivers (Kunene, Kavango, Zambezi and Orange) as well as dams (Hardap and Neckartal) have a potential to be used for mass production of fresh water fish species. The ministry continues to carry out molluscan shellfish sanitation and water quality monitoring programs to ensure that all farmed fish are monitored for disease or biotoxins according to international requirements and the Aquaculture Act. The ministry noted with concern the occurrence of natural sulphur eruptions, which negatively affected the mariculture industry in 2018. I am informed that these unfortunate events affected employment and caused losses of about N$6 million to the industry. In 2018, Walvis Bay and Lüderitz aquaculture production areas experienced harmful algal blooms which produced phytoplankton biotoxins. This caused diarrhetic shellfish poisoning (DSP) and paralytic shellfish poisoning (PSP), which resulted in the closure of affected areas, in line with international standards. Despite the challenges in 2018, Namibian aquaculture (freshwater and marine aquaculture) produced about 335 MT of products (293 MT mariculture and 42 MT inland aquaculture), as compared to 450 MT in 2017 (384 MT mariculture and 66 MT inland aquaculture), and created 266 jobs. We hope that this year conditions will be favorable for the industry to flourish again. Ladies and Gentlemen, as you are aware, there have been reported incidences of illegal, unreported and unregulated (IUU) fishing, particularly along our northern maritime borders with Angola. Even though I am informed this activity is limited to this area, and is sporadic, happening mainly at night. I will not reveal the whole strategy on this matter, but wish to warn that we have a whole Government approach, with other arms of Government, to eradicate this illegal activity. There is already some ongoing actions on this matter, and you will see drastic results soon. Those who are either facilitating or participating in this activity will soon regret their actions. I have also instructed our officials to strengthen MCS activities along our perennial rivers, to ensure that closed areas and closed seasons, including fishing gear restrictions are enforced accordingly. Along the same lines, I would like to ask the industry to work closely with our officials to ensure timely, transparent and correct recording of landings. This is important for planning purposes, for calculating statutory obligations such as levies and taxes. We need timely communication on catches, including from on-board fishing vessels before landing. I have asked my officials, and Fisheries Observer Agency (FOA) to explore options including instant electronic internetbased reporting on this matter. These measures will also help in our reporting under the Port States Measures Agreement (PSMA) obligations which we are party to. During 2018, the Ministry undertook several activities relating to development and implementation of blue economy policy, and international ocean governance. His Excellency the President is a member of a High-Level Panel on Oceans Economies headed by Norway and Palau, and has appointed me to be the Sherpa, or his personal representative in this process. We have also signed a fisheries MoU with Indonesia, where we have a particular interest in sharing experiences on our fight against IUU. We have also signed a MoU with South Africa, with which we share the Benguela Large Marine Ecosystem, and are extensively linked in terms of fisheries trade. These activities are important because our fisheries does not exist in isolation, but is affected by management measures taken at the international level. We must continue to defend Namibia’s position and ensure we obtain benefits from ICCAT, CCYMLR and SEAFO, among others. Distinguished Participants, I wish to address the issue of scorecard and our obligations under NDP5. As I informed the industry before, we are determined to ensure that fishing quota allocations are based on performance of right holders, and not just historical entitlements. The scorecard is already approved for implementation by Cabinet, and as discussed with the industry, we are now finalizing with the weights to the criteria before gazettement, which will be done within the next few months. Our NDP5 target on value addition for the 2019 fishing season is 50% of total landings, which is about 175,000 MT. In 2019, we are determined to take value addition to a new level. The new horse mackerel processing factory by Fishcor and partners, which is operational but yet to be officially opened, has already created 400 new jobs, and I am informed that an additional 400 new jobs will be created, resulting in 800 new employment in this factory alone. I am told that this factory has the capacity to add value to 70,000 MT, which is about 12% of our horse mackerel TAC. There is still room for 5 similar factories to come on-board, and help us meet our NDP5 objective of 70% of horse mackerel TAC. These jobs are in addition to the current 16,800 direct jobs in our fishing industry, which are mainly associated with value addition in the hake industry, due to the 70/30 policy. You may remember that when I started advocating for value addition in horse mackerel, I was told that it can not work, and that there is no market for value added horse mackerel other than in whole-round frozen form. These arguments have been proven wrong: we have a growing market of canned horse mackerel, and I am informed that even here in Namibia, fresh horse mackerel is a favorite in our communities. I am happy to note that several other companies are already investing in horse mackerel value addition activities. 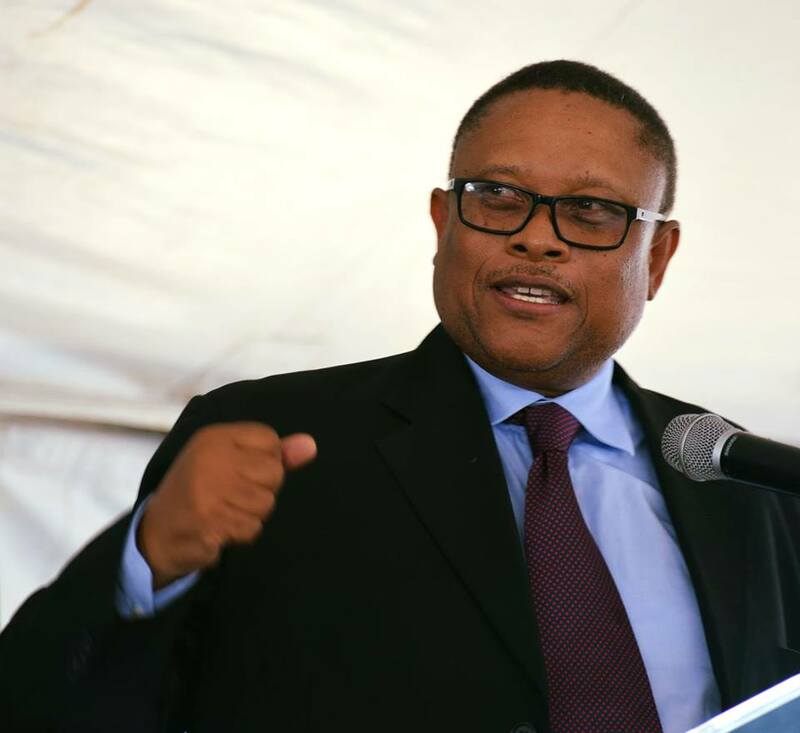 The Government is serious on implementing a 70/30 policy on horse mackerel by 2022, whereby 70% of the fish will be landed wet and value added on-shore – mainly in order to maximize on job creation for our people. This measure is also being extended to all other fisheries. Value addition is the way to go, the days of freezing on-board and exporting, which creates just a handful of jobs, are gone. In brief, the scorecard is here, and I hope the industry has taken advantage of this one year which we have been consulting, to invest, and create jobs, so that you may qualify for quotas. I am aware of the arguments by some critics of this project, who are arguing that if they were assured of quotas, they would also invest like Fishcor. Let us remember that some companies in our industry used to receive more than 50,000 MT, some even 100,000 MT horse mackerel quota annually for almost 20 years, as a historical allocation entitlement. What these companies got, and for such a long time, was more than the MT 50,000 quota agreed between Fishcor and the Ministry, but did not create even 500 jobs to handle the large amount of quota they periodically received. I am therefore at a loss to understand what guarantees those companies are asking for, if they could not do it during the 20 years they were given the opportunity. I wish to make it absolutely clear to all fishing right holders that quota selling is illegal. This practice defeats the purpose of building capacity to exercise a right, as stated in Section 33(4)(d). Those who are selling quotas are defeating the objective of inclusivity and empowerment of Namibians to participate in this fishery, and are facilitating the thinking that the country can consider auctioning quotas to the highest bidder. A quota can therefore be shared between two legal entities only if both parties are in a long-term business partnership to invest in fisheries and create employment. Take note that, anyone caught selling quota will have the quota taken away, and reallocated to right holders who are creating jobs. Distinguished Participants, as you are aware, we concluded a public call and applications for new fishing rights which was concluded at the end of August 2018. I wish to inform you that the evaluation process, which is being done in terms of our Marine Resources Act, 2000, is progressing well – in fact I am told that the preliminary report is ready. You may remember in the past we had 2,000 applications which took one year to evaluate and award. This time round we have 5,193 applicants, and we are now at the final stages of the evaluation, after just 3 months. I am keen to ensure that this process is concluded professionally, transparently, and in an accountable way in terms of our Laws and policies, within the next few months. For those of you who have applied for the first time, rest assured that I am determined to continue making the sector economically inclusive by giving new Namibians the opportunity to prove that they want to help us develop Namibian fisheries. For those of you who were in the fishery before, and have applied again, I can only say that the criteria is clear – those who have complied with the criteria, have invested in the sector and have created jobs, can be sure that I am determined to sustain employment and investments in the sector. Those who have not invested or created jobs, tough luck. I therefore urge all applicants to be patient with us, as we transparently conclude the evaluation process. I wish to remind you that the issue of conditions of employment is part of the evaluation criteria for new fishing rights by right holders whose rights have expired. We are keen to look at applicants who have provided for equity participation by workers, and whose employment conditions, including remuneration, provides workers with decent living wages, not starvation wages. I also wish to remind operators and right holders that all Namibians have a sovereign right to vote in the forthcoming general elections. I therefore urge employers and workers unions to liaise together and make logistical arrangements to ensure that all workers are given the opportunity to vote. On the process of renewals of rights which have attained 7 years, I am disappointed that many right holders have not yet provided the information the Ministry has been requesting, which is necessary for us to conclude the renewal process. As I have mentioned before, I am determined to stop the current practice of some shareholders cheating their colleagues. Communities, and vulnerable groups are being cheated out of their dividends by other shareholders, and this cannot be allowed to continue. As has been communicated to right holders concerned, I need to be sure that you have not changed the approved shareholding structure without my permission. I need an attestation signed by all shareholders indicating that they all agree with the renewal, and that they have been paid all their dividends. Further I need evidence of investments and jobs that you have created during the past 7 years. Take note that, as has been communicated in writing, if you do not provide the required information by 22nd of February 2019, your rights will lapse on 28th February 2019, without any further notice. I am aware that the industry has been complaining about allocation of quotas in bits during this fishing season. This action has been caused mainly by expiring of rights, and delays in submission of data by right holders whose rights may be considered for renewal. Some rights were expiring on 31st December 2018, hence by Law I could not give them quotas for the entire period until October 2019. We had to make administrative arrangements, in terms of our Laws, to sustain jobs and investments in those companies. This also applies to companies which have attained 7 years, and which are being considered for renewal. For the 7-year rights, when you say ‘we have exhausted the quota you gave us, please give us more quota’, I say ‘please send us all the documents we are asking, so that I renew your right and allocate you all the remaining quota that you qualify for’. However, if we don’t get the information requested for by 22nd February 2019, I will be giving out all the remaining quota to compliant right holders. I have taken note of the concerns raised by the industry with regard to investments made by shareholders who may be in more than one fishery. In this regard, I wish to clarify that the restrictions on multiple shareholding in Government Notice No 92 of 2018 applies to applicants for new rights, not for rights that existed prior to this Notice. With regard to concerns raised on operations of joint ventures, I wish to reiterate that the Government has given you 7 years to create workable business arrangements with each other. If you have not done so in 7 years, hence you have not invested in fisheries or created jobs so far, this is a breach of conditions given to you by Government at the beginning of your right, which is inexcusable. We can not extend rights for persons who are unable to work together, and only want to sell quotas – quota selling is illegal in terms of our laws. I only want to renew rights of those who have proved themselves as investors in our fisheries, not quota traders. Fishcor, as a special purpose vehicle of Government, must continue to work with industry to assist the country to meet our value addition targets, and fisheries development. You must also ensure that the Government continues to get value for its investment in this company. Fisheries Observer Agency must continue to employ smart observation, to ensure cost effective implementation of your obligations t the fishing industry. Your performance should be measured not by how many reports you submit, but by the number of illegal activities you successfully assist in eradicating. NAMFI must continuously adapt their training curriculum to current needs in the fishing and maritime industry. You must be demand driven, and make sure that the quality of your training is internationally benchmarked, and based on international best practices. Namibia Fish Consumption Promotion Trust (NFCPT) must work to ensure you have a footprint of shops and activities in all 14 regions of our country. You must implement programs together with the fishing industry, geared towards encouraging enterprise development in local fish trade and processing, and ensure that we attain the 21.4 kg fish per person per year target during this financial year. Haganeni Artisanal Fishers Association (HAFA) must work on programs to facilitate artisanal fishers in Henties Bay, and indeed in all parts of our country where we have fishers. I note your increased activities du to the recent repair of your fishing boat, and urge you to do more to ensure that our artisanal fishers are not left out, but can make a livelihood from our fisheries. In Conclusion, Distinguished Participants, I wish to state that the state of our fisheries is healthy, and is being sustainably managed. In 2019, we have a serious agenda which we must do together, as a partnership between Government, private sector and civil society players. In this year, we will be giving meaning to our policies on economic inclusivity and ensuring investment friendly environment in the renewal and allocation of fishing rights. We are taking value addition and hence job creation, particularly in the horse mackerel to another level. We will take measures to strengthen aquaculture development We will eradicate the IUU activities in our maritime borders with Angola, and on our rivers. We have to conclude our blue economy policy, and ensure that Namibia effectively articulates our position in international ocean governance initiatives currently underway. Let us all work together to develop a sustainable and economically inclusive Namibian fisheries, for the benefit of current and future Namibians.